Personalized Map — They provide a map on every job description showing the location of the hotel. You should also notice that your candidates picture can appear in the upper-right hand of the map thumbnail — talk about helping a candidate picture working with you! “Employee Testimonial” — Testimonials are a proven method of persuasion because they act as social proof for the candidate. 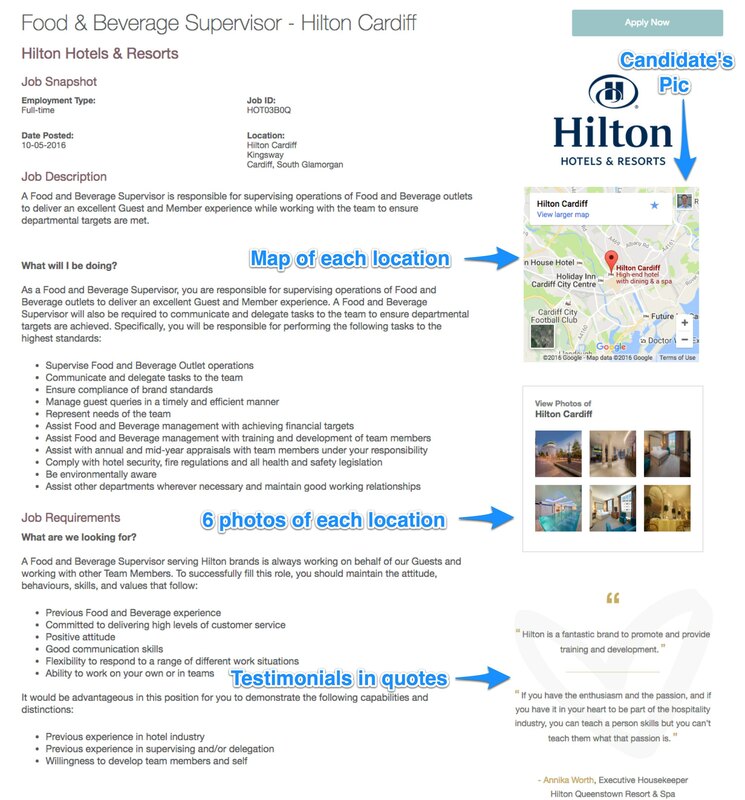 Hilton puts an employee testimonial in each job description and they include it in quotes which is a nice touch since quotes are proven to attract a reader’s eye (another David Ogilvy principle of advertising).